A couple of years ago, on our way to Jasper National Park in Alberta, Canada, my sister and I had the good fortune of pulling into a wayside rest area only to find this gorgeous creature sitting there pulling up rocks to get to the grubs. We were the only people there and spent about 10 minutes just watching (of course from a safe distance and inside of our car). It was one of the most thrilling animal encounters I’ve ever had. Stunning captures of an exciting encounter. What a beauty! Thanks, Donna. It was very exciting. Great shots Maralee of one great beast, though this would be one reason we would not feel safe walking in your national parks. 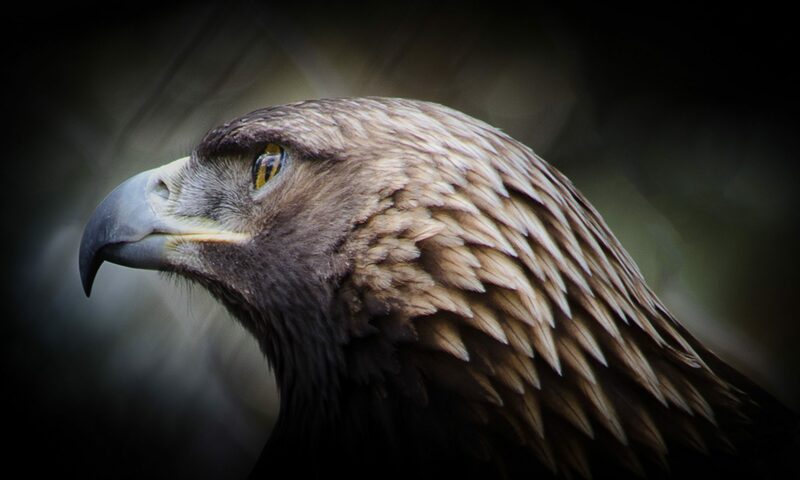 Beautiful shots, what a blessing to see them in the wild up close! 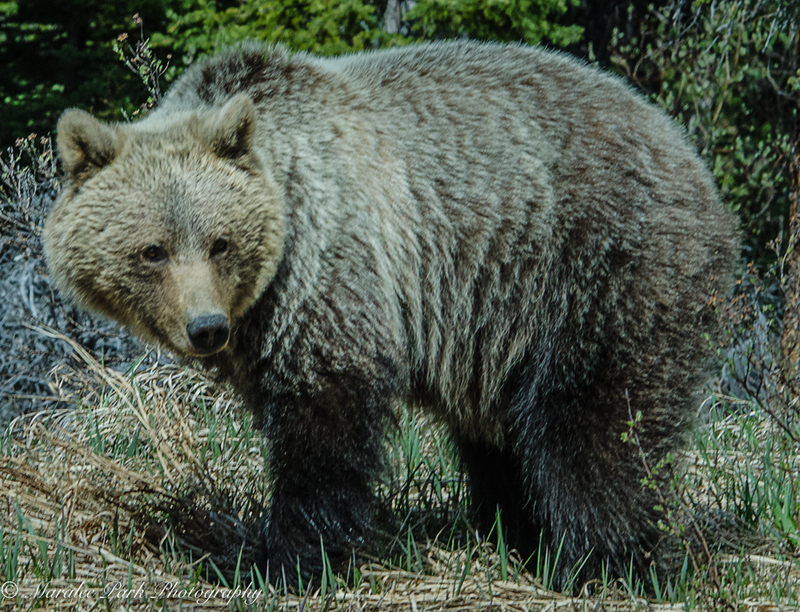 I’ve never had a bear encounter while hiking, but it does happen. This was taken from the safety of our car with a 500mm lens. What a beautiful bear! How thrilling to see it, especially with the safety of your car at hand. 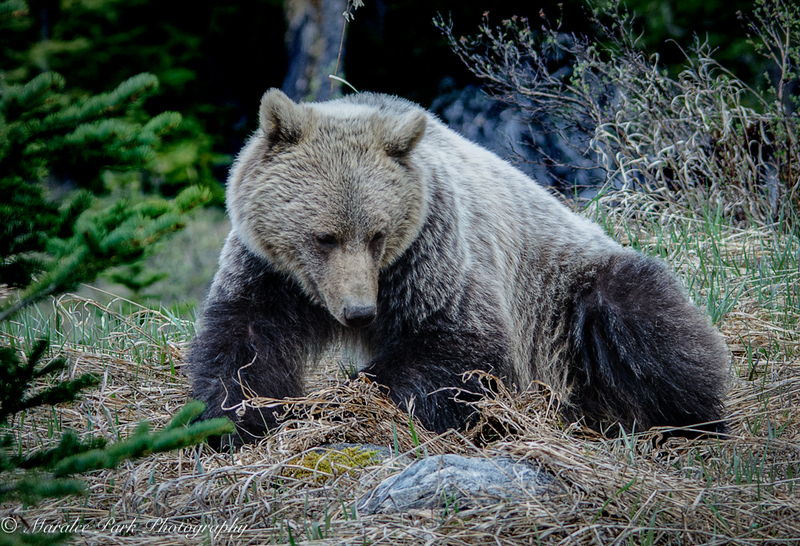 I’ve only ever seen black bears in the wild, even when I was at Revelstoke and Glacier National Parks in BC. They are thrilling to see. 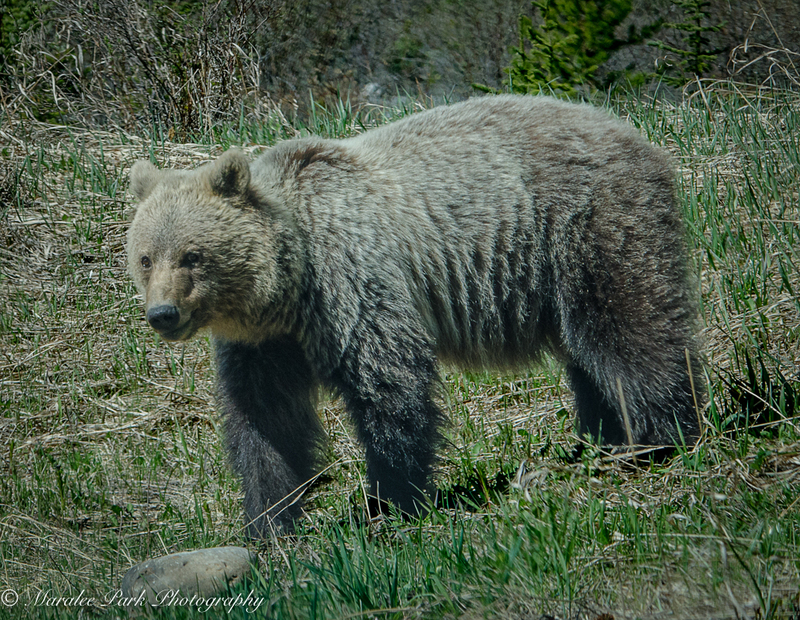 This was my third trip to Alberta and I had only seen a grizzly from a distance before we found this bear. There were no other people around so we had this bear to ourselves for a while. 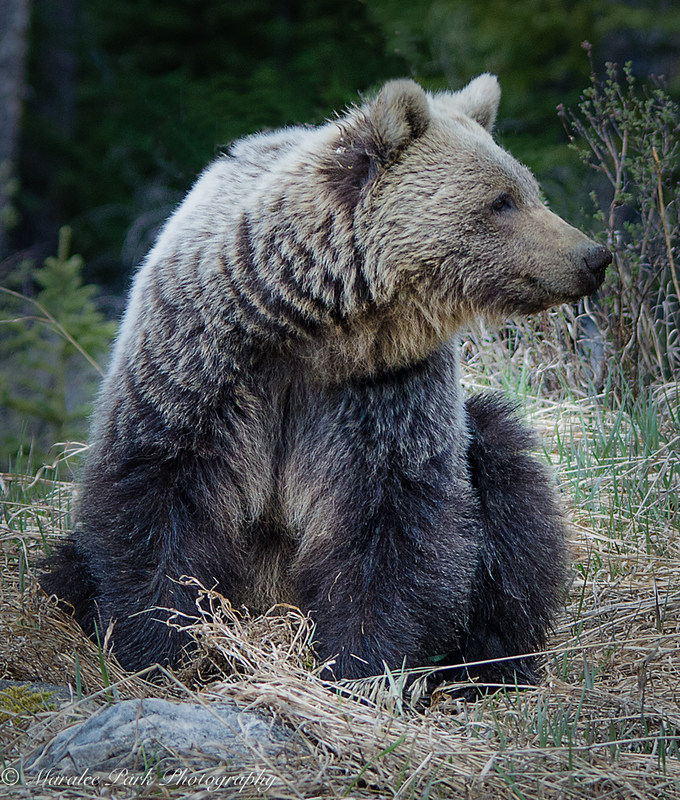 Having seen grizzlies in British Columbia four years ago, I can well understand how moved you were.